"It is the will of a mysterious providence that our nation should live in exile as settlers in foreign lands. Yet that same God has not forgotten the Armenians. He has protected our people wherever they live, granted them success and has, day by day, multiplied their number. May His will be done." With these words, Catholicos Mgrdich Khrimian established the Diocese of the Armenian Church of America in 1898. In the one hundred years that followed, this small, remote outpost of faith would grow into the largest and most dynamic jurisdiction of the worldwide Armenian Church. 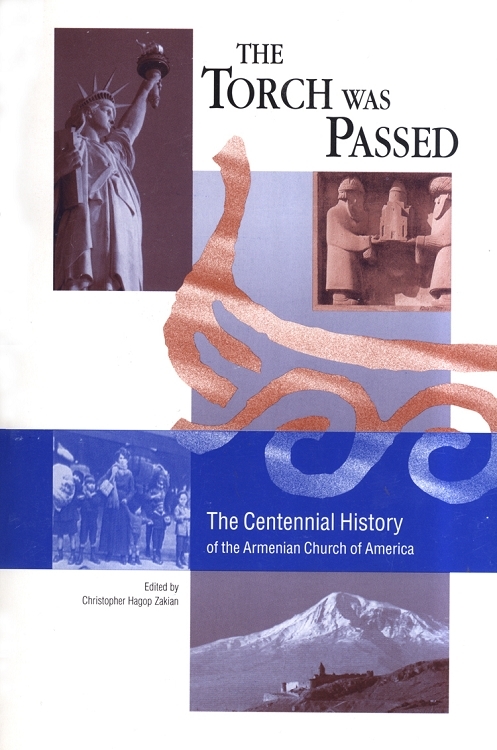 Published in honor of the Diocese's Centennial Celebration, The Torch Was Passed chronicles the remarkable history of the Armenian Church of America: its struggles and triumphs, its rise to prominence in America and its contributions to the emergence of a free and independent Armenia. In addition to a full-length historical narrative, this volume contains sections on the Diocese's two sister jurisdictions in North America, a catalog of its local parishes and a comparative chronology of significant events in the life of the Armenian Church during the past century.